Also known as Clevner or Klevner, Pinot Blanc is the workhorse grape of Alsace, covering around 21 percent of the vineyard area. It is more full-bodied than Sylvaner, but less concentrated and aromatic than its regional counterparts Riesling, Gewürztraminer and Pinot Gris. It also plays an important role in blends for the sparkling wine of the region, Crémant d'Alsace. Also known as Clevner or Klevner, Pinot Blanc is the workhorse grape of Alsace, covering around 21 percent of the vineyard area. 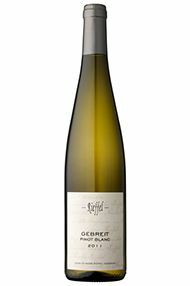 It is more full-bodied than Sylvaner, but less concentrated and aromatic than its regional counterparts Riesling, Gewürztraminer and Pinot Gris. It plays an important role in blends for the sparkling wine of the region, Crémant d'Alsace, which is clean, delicately fruity, very subtly aromatic but with fresh acidity and typically moderate alcohol of 11 to 12.5 percent. 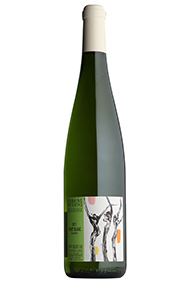 It is often blended with Auxerrois, which imparts a richer, broader and spicier character. Pinot Blanc thrives throughout the region, but its natural home is considered to be Pfaffenheim. The appellation regulations do not authorize Pinot Blanc for wines at Vendange Tardive, Sélection de Grains Nobles and Grand Cru level.